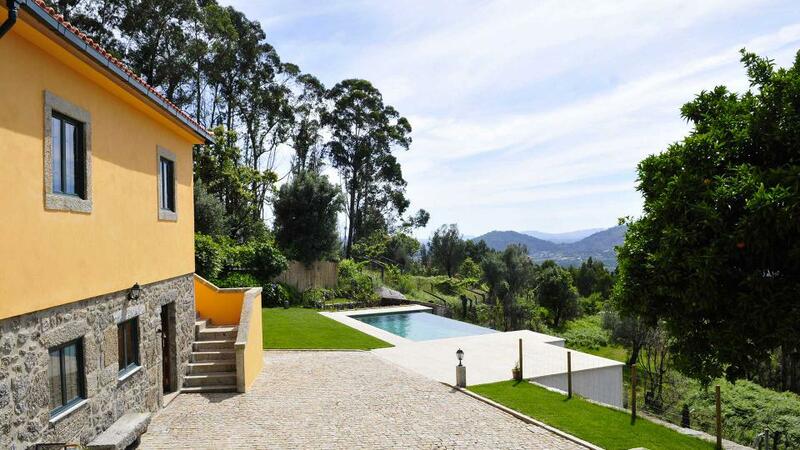 Villa Folgosa is a beautiful air conditioned villa with private infinity pool and garden, in an outstanding setting dominating the river Douro. 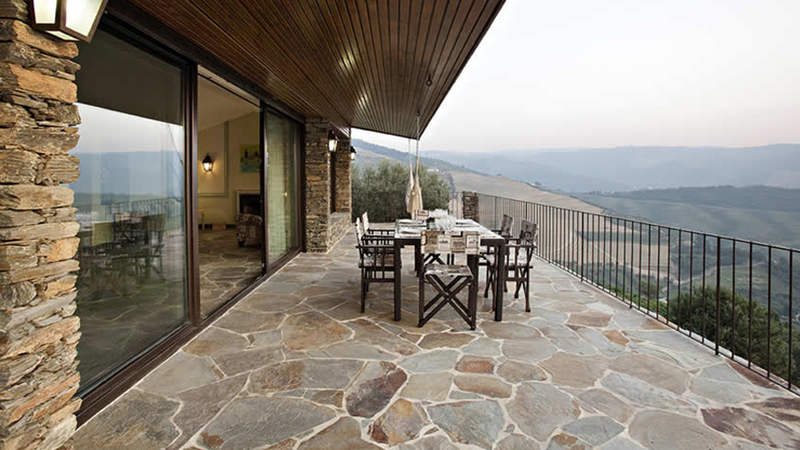 Facing the Douro River, the house consists of 3 furnished guest rooms, and a living/dining room with a big terrace perfect to a sunset wine-tasting with family. Exceptionally tasteful décor making full use of traditional materials, in particular the local stone and themed with the Porto Wine industry, overall the effect is fabulous. The accommodation comprises a confortable living and dining room with fireplace and satellite television, large patio doors allow plenty of light into the room and enable you to enjoy the stunning views of the river in the valley below. Furnishings are comfortable, modern and elegant yet practical. The beautiful terrace at the front of the villa is partly covered and with the infinity pool you get the most out of the view. Set in substantial, enclosed grounds with plenty of garden furniture and a barbecue this is a restful, beautiful place to holiday. 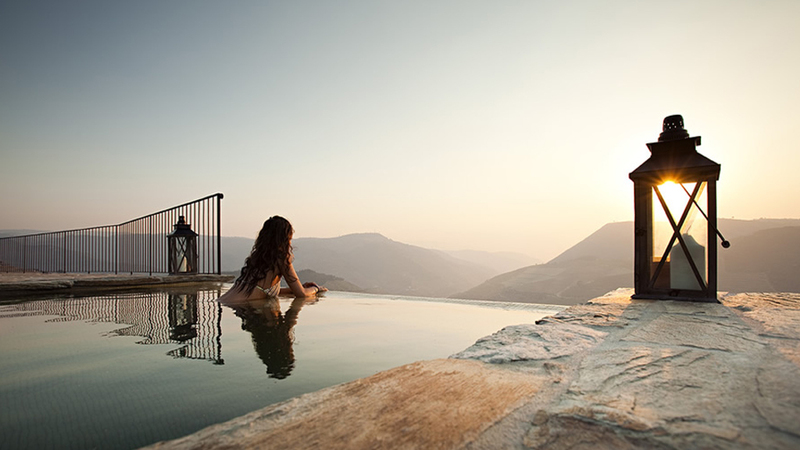 Situated in the famous Douro Valley Region, a region known for its rural charm and exquisite wines, like World FamousPort Wine, this villa combines stunning panoramic views with privacy. Beautifully furnished and extensively equipped, all 3 bedroom and 2 full bathrooms (1 in ensuite master bedroom) are provided with all linen and apartment towels, and the apartment will be cleaned fully before each arrival and after each departure. There is also very large river-view terrace with outside furniture (dinning table, chairs and sun loungers), that gets the sun for almost all of the day - our favourite place for an early evening drink! The fully equipped kitchen with oven, microwave, refrigerator, dishwasher and small electrical appliances has everything you would expect from. There is a spacious lounge/dining area with dining table and seating for 6 people, large sofas, coffee table, TV, and a CD player. 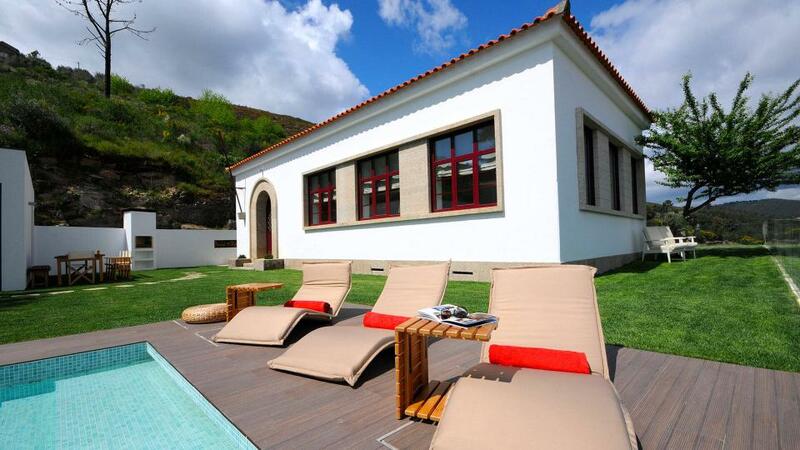 This villa its located in the the Douro Wine Region, inscribed as an UNESCO World Heritage and the oldest Quality Wine Producing Region (QWPR) in the World. This region was also considered, in March 2010, the World’s 7th Best Sustainable Tourism Destination by National Geographic. - On site payment can be made with the following payment method : Visa - Mastercard - Carte Bleue - Bank transfer - Cash. The views from the home are gorgeous. The beds and linens were very nice. The patio and landscaping were lovely. There were no kitchen supplies (spices, olive oil, coffee, tea, pantry items...) or any food or any instructions at the house. The house is in a very rural area and no one had provided anything upon our arrival - not even a bottle of drinking water. If you are going to rent a home from Saturday to Saturday, then you need to provide the guests with much more detailed instructions at the house and more supplies. The house was somewhat cramped for 4 adults and the bathrooms are small. It needs more hooks or places to hang clothes and more furniture in the living room area. 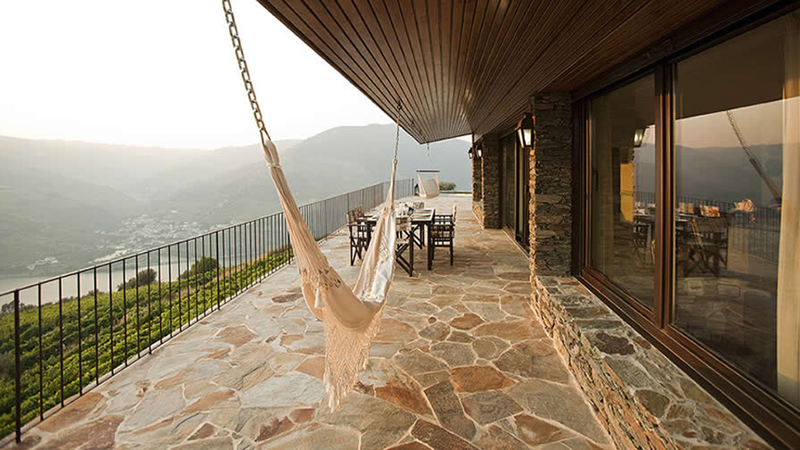 The view is spectacular, house looks good from outside, the area is very interesting, the pool and hammock were good, kitchen was usable for cooking. The house is in a working vineyard, so for at least four out of our six days there were trucks moving around with noisy water pumps, there was constant hammering of the stone poles used for the vines, also hammering, drilling and (very) loud music from the workers on a building site for a large shed just in front of the villa. As we came to this area for a holiday and peace and quiet, and considering the amount of money charged for the villa rental, this was disappointing. Also as the house faces west and there are absolutely no outside shaded areas on the property and all three umbrellas on site were broken, from about 3 pm to 8:30 pm every day the sun shone relentlessly into the property, leaving no choice but to retreat indoors with curtains and/or shutters closed, in semi-darkness. There is no shade (or umbrella) around the pool, so it is impossible to relax there for more than a few minutes unless you want to lie constantly in full sun. We told Paolo about the lack of umbrellas and he sent up a tiny beach umbrella which was useless as it was so small and didn't fit into the base for the other (broken) umbrellas. In the two bathrooms and kitchen the sinks are very tiny and there was not a single plug in the whole house, so you could not keep water in any sink to wash up dishes or do even a small amount of washing. In a house advertised for six people and rented only on a weekly basis, I think providing a washing machine is appropriate, or at least providing some sort of tub to do simple washing by hand. We did not see the barbecue advertised on the website. On our arrival the combination lock/container on the gate of the property containing the house key and device to open the electric gate was impossible to open. The outside temperature as measured by our car was 48 degrees, and I don't know if the metal in the box had expanded, but we could not open the box and were reluctant to use force. 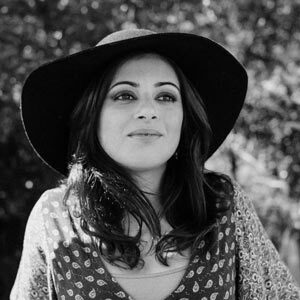 Paolo told us Sara would come immediately from Regua, which would take about 10-15 minutes. In the end she took about an hour and a half to arrive, while we waited in 48 degree heat (with a car full of groceries) and then she could not open the device normally and had to force the device to get it open. We think that maybe a different system of suppling the key may be appropriate. Thank you for taking the time to make those remarks. First, I am sorry about the lock and the problem you encountered upon arrival. My assistant Sara did her best to make it on time but unfortunately it took longer. Please accept our apologies. Lock has been replaced. Second, regarding washing machine or some clothes washing equipment, I have now acquired a washing machine. Third, for the barbecue it was mistakenly advertised on Villanovo and now removed as local authorities forbid open barbecues to prevent fires. Fourth, we have 3 umbrellas on the property but it appeared all had been broken by former clients. I did send you one new one although it appears it was not enough. Umbrellas have all been replaced since then therefore we have 3 umbrellas on the property. Fifth, I must admit I did not know anything about the construction taking place on the wineyard grounds. This is very unfortunate as the area is always super nice and quiet. I am very sorry about this although this is something beyond our control. Paolo. Perhaps some more information could be provided on practical matters such as where to take the trash. Also, a washing machine would be very useful, or another place to do the laundry in. Maison située à quelques minutes de l'un des meilleurs restos du Portugal (adresse communiquée par votre agence suite à ma demande). L'accueil de Paulo (par téléphone, mais c'était tout-à-fait suffisant pour arriver). Très bon endroit pour séjourner et visiter la vallée du Douro. Villanovo has a great selection of properties, and not the same properties as you see on numerous other sites. It is a classy selection in a variety of areas. I like the detailed description and found the prices to be fair to the quality of the properties. For us, just two people, we often find it difficult to find a quality property that doesn't necessitate us paying for lots of rooms that we don't need. We found a good variety of smaller properties to choose from. 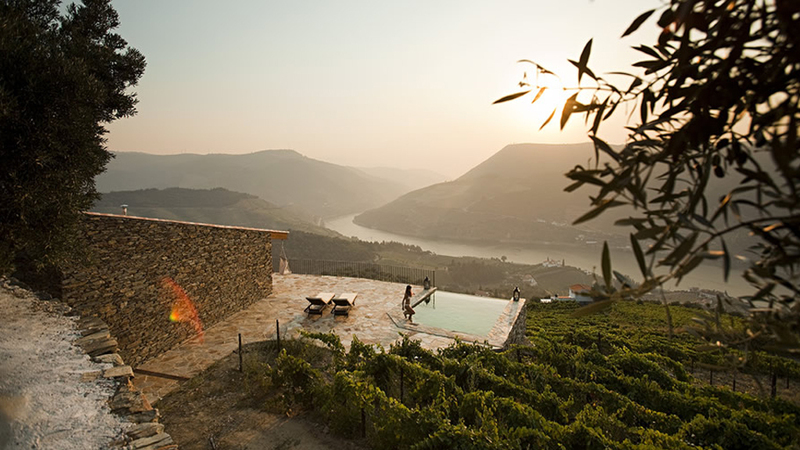 We did not go to the stunning Douro valley to stay in the house but with the weather continually bad, there was a lack of internal facilities, tv small and not many channels etc. I am thinking for a family it may not be adequate in times of bad weather. I would not go out of season for example.